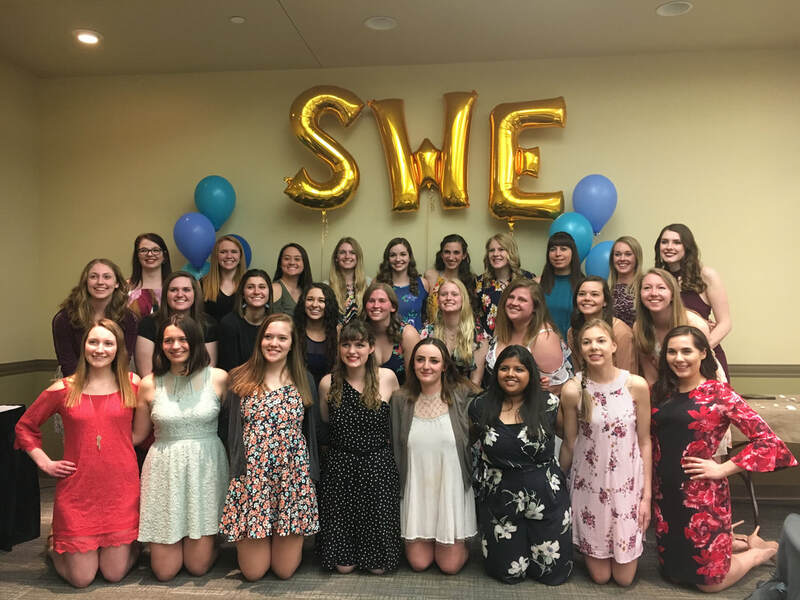 The Society of Women Engineers (SWE) at North Dakota State University is comprised of students at the collegiate level who are pursuing engineering. We are part of the national non-profit organization that is the Society of Women Engineers. Through SWE we are informed of matters related to engineering, specifically topics related to women in engineering. We have monthly meetings and every year we attend two conferences, one national and one regional. As a section at NDSU we have a large focus on outreach with various award winning programs and events geared to reach younger girls to get them interested in math, science, and engineering. (Visit the Outreach tab to learn more) Through SWE we practice leadership, make connections, and grow as individuals to become the best engineers we can be. ​The Society of Women Engineers (SWE), founded in 1950, is a not-for-profit educational and service organization. SWE is the driving force that establishes engineering as a highly desirable career aspiration for women. SWE empowers women to succeed and advance in those aspirations and be recognized for their life-changing contributions and achievements as engineers and leaders. Being a member of NDSU SWE means you're a member of National SWE.